HULFT Integrate enables enterprise integration that’s intuitive, reliable, and fast – with support and services from HULFT’s UK partners, Influential Software. Why enterprise integration? The data industry is valued at around $3 trillion, putting it in the top three after oil and banking. But if data is unmanaged or unprotected, it can become a major threat to business success. Just as commodities such as oil and gold are refined before use, so data integration and data logistics must be optimised and integrated into your business. 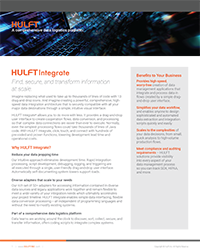 HULFT Integrate provides fast, intuitive, and secure enterprise integration solutions for your complex data. Too many businesses today are stuck with manual, labour-intensive methods of managing data. With the volume and complexity of data growing by the hour, these systems are close to breaking point. HULFT Integrate’s enterprise integration power eliminates this unnecessary labour, reducing human error and freeing time for innovation. In place of thousands of lines of code comes a simple drag-and-drop interface for enterprise integration. Across industries such as finance, healthcare, and manufacturing, HULFT’s integration technology has brought a wealth of tangible benefits to well-known businesses. 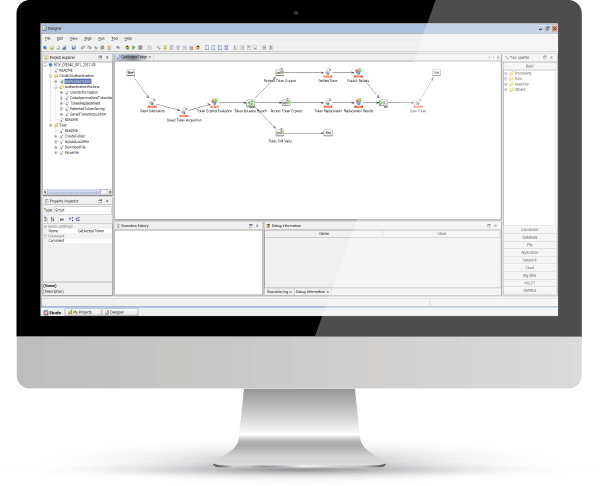 Pair HULFT Integrate with the HULFT Director Business Integration and central management platform for total control. For enterprise integration to be fast and holistic, your sources need to connect from day one. HULFT Integrate has a wide range of adapters.